In preparation for my upcoming trip to Iceland I started to research using my iPhone abroad. Don't do anything and pay high international roaming fees to AT&T. Change my AT&T billing information to include some sort of international data plan. The last option seemed the most interesting to me and the prepaid SIM card also gives me a clear idea about how much it will cost me to use my phone in Iceland instead of being surprised when I get back home. However, since I bought my iPhone from AT&T it is not unlocked, which means I can't use it with the SIM card from a different carrier. The good news is AT&T will let you unlock your iPhone for free if you meet certain restrictions. Below are the steps I used to unlock my AT&T iPhone 5. The process to request that AT&T unlocks your phone. The IMEI number is a unique identifier for the phone that the cell companies use when activating to determine if the phone is stolen or is allowed on different carriers. You can your iPhone's IMEI number by going to Settings > General > About. It is towards the bottom of the list. Also check the phone number on that list too, because it will be the same one you enter on the form. In my case, I was unlocking my wife's phone and it only worked if the IMEI and Phone Number's matched in the unlock request. The email and password should match the account owner. 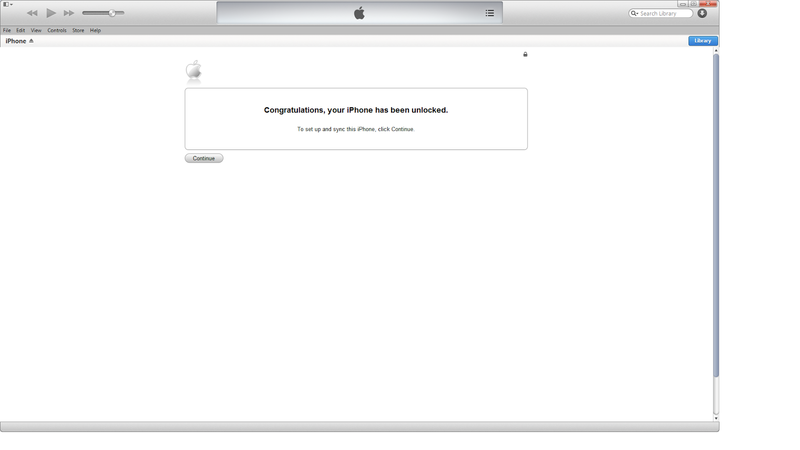 Check your email and click on the enclosed link to confirm that you want to unlock your iPhone. The process of actually making your phone recognize that it is unlocked. Take it back to the old school and fire up iTunes. In iTunes go to the Summary page for the iPhone. Click the "Back Up Now" button to back the iPhone up to your computer. You may be prompted to transfer app purchases, which you probably want to do. After the back up completes, click the "Restore iPhone" button up near the top, not the "Restore Backup..." button. This will clear the contents of the iPhone and update the firmware if necessary. After the phone finishes the restore you should see a message on screen that says, "Congratulations your iPhone has been unlocked." Click the "Continue" button to set up the iPhone. At this point you can restore from the backup you just saved. Now your iPhone should be unlocked and you can insert the SIM card from another carrier and successfully make calls.